If there's one thing we can always be sure of, it's DJ/Rupture opening our ears to amazing music from the ends of the earth. 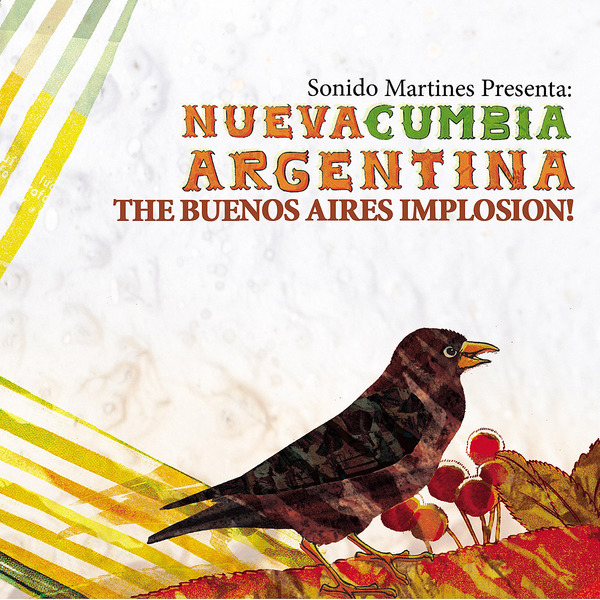 Released through his brilliant Soot imprint, 'Neuva Cumbia Argentina, The Buenos Aries Explosion' is a collection of fresh-out-the-barrio takes on the traditional Latin American sound of Cumbia, as the title explains really! Compiled by DJ Sonido, revered digger and DJ from Buenos Aires, this set takes a look at the roots and future of the South American sound which has set the blogosphere alight and infected dancefloors from New York to Berlin with a sensually slow style taking in traditional melodies alloyed to raving electronics and elements of Reggaeton style drum programming. New-skool Cumbia star El Hijo de la Cumbia has already provided one of records of the year with his 'Freestyle De Ritmos' album, and appears here remixing Alika Y Nueva Alianza's anthemic 'Para Bailar' alongside more established cuts like Los Duenos Del Pabellon's 'Damas Gratis', but for us it's all about the bleeping electronic weirdness of tracks like Fauna's 'Zombie' - sounding like the UK Zomby on a slo-mo lo-fi Mescal trip - or the unhinged array of samples strafing across the view on El Hijo de la Cumbia's 'Cumbia Regional'. Frikstailers have previously contributed to Berlin's Man Recordings but their 'Cumbia Frikera' and 'Piratas Del Zanjon' far surpass that for sheer rhythmic idiosyncracies, and DJ Taz's 'Danze Macabra' could draw parallels to the Skwee sound gone Latin, while Dale Duro's gangsta anthem 'Villa Crespo' sounds like Dâm Funk doing nitrous with Digital Mystikz. It's addictive stuff that we urge you to check out without fail if you've not already!